Currently, one in five babies is born by C-section in the world and although there is increasing knowledge about postpartum after this type of intervention, it is true that mothers may face similar difficulties and myths may appear that could affect the good start of breastfeeding. We are going to resolve the main doubts that mothers may have about the start of breastfeeding after a caesarean section. If I am anaesthetised, do I have to wait to breastfeed? No, there is no need to wait. The anesthetic molecules are too large to reach the milk, so the baby cannot be affected by the medication you have been given for the cesarean. In addition, you will breastfeed when you are already conscious, which will indicate that you have already metabolized the anesthesia. The most important thing is that you are accompanied either by your partner, a family member or a health professional, who will help you place the baby and hold it in case you do not feel strong or sleepy. Of course you can! In fact, more and more hospitals are carrying out humanised caesarean sections which encourage mother’s involvement in delivery and immediate contact after the birth, with the help of the woman’s partner or the health staff to hold the baby in the upper part of the chest so that, in this way, mother and baby can get to know each other and start breastfeeding normally from the beginning. Always be accompanied throughout the process, if we are with the couple should be aware of us and the baby. Do not lie completely in bed and try to maintain an angle of 30 to 45 degrees. Avoid getting distracted with the mobile phone or falling asleep during the process. If we get sleepy or tired during the process or the intake is better to leave the baby in his crib. And if I can’t do skin-to-skin, what do I do? Whenever possible, it’s best if you have the baby in skin-to-skin contact right after birth and, if that’s not possible, the second best option is for the baby to be in contact with the partner while you recover. It’s much better for the baby to be in skin-to-skin contact with an adult, even if it’s not his or her mother. Once you are recovered and you can be with your baby do not deprive yourself of repeating the experience of that first contact with your baby, you both will feel great. What position is going to be better for me to breastfeed? After a C-section, the abdominal area is very sore. We must not forget that a caesarean section is a major surgical intervention and we must find the most comfortable way to breastfeed because in the most common positions can be painful unless the abdominal area is protected. In case of C-section, the most recommended positions are those we recommend in our blog, and you can also perform the rugby position that prevents the baby’s legs from being close to the wound, thus avoiding an accidental blow to the belly. I have pain… Can I take medication or should I not take anything while breastfeeding? If you have pain, you will have been prescribed medication: analgesics and anti-inflammatories that are compatible with breastfeeding, will help you feel better and find more comfortable positions to breastfeed. 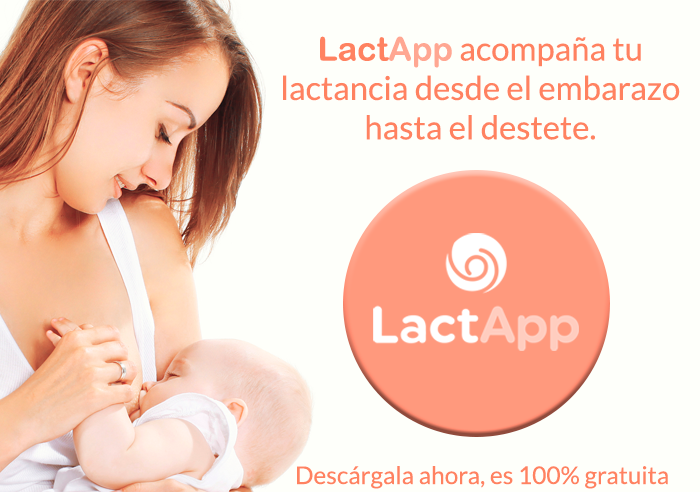 Most medicines are compatible with breastfeeding, whenever you have doubts about a medicine or treatment you can access the website of APILAM pediatricians: www.e-lactancia.org and consult the compatibility. Will it take me longer to have milk? No, C-section does not delay milk flow. It is a widespread myth that creates many fears, because if the milk takes longer to rise, what will the baby eat those days? Before we give birth, we already produce colostrum. When the placenta separates from the uterus, the mechanism that will generate the change from colostrum to milk is activated. This change is produced by the separation of the placenta from the uterus and this happens both in a vaginal delivery and in a caesarean section. So even if you have had a C-section, you will have milk within 48-72 hours after the birth of your baby. What can hinder milk flow is the separation of mother and baby during the first few hours after delivery. This is one of the reasons why it is so important to keep skin-to-skin with our baby as much as possible. Breastfeeding can be very hard for any mother. The fact that you’ve had surgery doesn’t usually help you feel strong and energetic enough to face the process. It is very common for us to feel physically and mentally exhausted before we start. 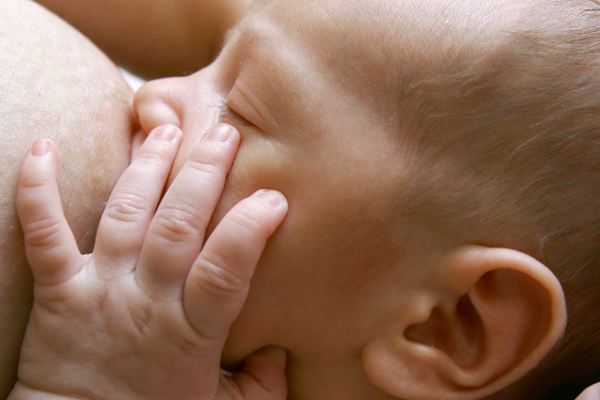 We can think of breastfeeding as a long-distance race. This has just begun and the beginning, as in everything, is the most complicated. The first thing you need is a lot of help, to get close to the baby, to place him, to rest, to eat … Set reasonable goals and think only of the day to day. In short, breastfeeding after section is possible but it will be necessary to have a lot of help from both the family and the toilets that accompany us. Little by little we will be recovering physically and getting security to continue with our baby and our breastfeeding. el retraso en el crecimiento es la forma mas comun de desnutricion en Mexico. La lactancia materna, la introduccion adecuada de alimentos complementarios y la diversidad en la dieta pueden evitarla.